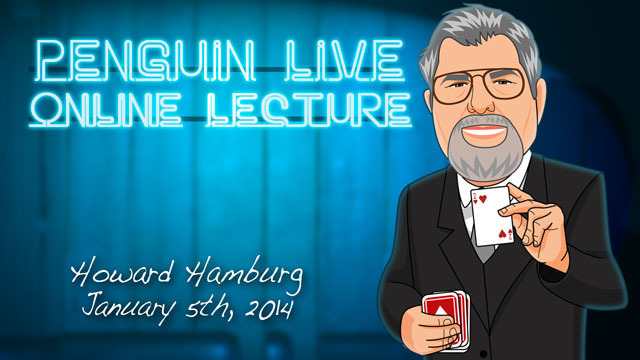 Today, when you order "Howard Hamburg LIVE", you'll instantly be emailed a Penguin Magic gift certificate. You can spend it on anything you like at Penguin, just like cash. Just complete your order as normal, and within seconds you'll get an email with your gift certificate. Howard Hamburg LIVE (Penguin LIVE) One of the world's top card magicians came to Penguin for an amazing 3 1/2 LIVE hour event. SUPPORT LIVE MAGIC. DOWNLOAD THE FULL LECTURE TODAY. Howard will be presenting and expanding upon a lecture that earned him the Lecturer of the Year award from the Academy of Magical Arts in Hollywood. He'll begin with an effect he created for Dai Vernon's birthday which starts like a standard oil and water but takes a very surprising twist at the end. Then, four kings and four queens get involved in some action and, as the plot thickens, the queens suddenly go missing... leaving the aces in their places. Howard will then go in-depth into the underused yet versatile Veeser Concept which can be used for a multitude of applications. He'll also perform a "You Do As I Do" effect using two decks of cards where he'll match a randomly selected card simply by repeating the spectator's actions. Next, five one-dollar bills are mixed face-up and face-down, then, with a gesture, all the bills instantly turn face-up. Howard will use a ordinary paperclip to find a selected card and cause one card to change into another between the spectator's palms. He’ll also do some amazing things with four aces. One where they appear in a mysterious manner, and manage to trap a selected card at the same time. And another where the four aces magically turn face-down one-at-a-time, then suddenly change into the ace, two, three, and four of clubs. 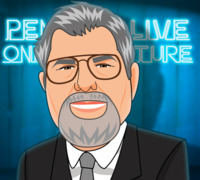 Now the real treat, besides the impressive magic you'll learn, is that Howard will share stories of his experiences with some of the greats of magic. Legends like Dai Vernon, Charlie Miller, Frances Carlyle, Jimmy Grippo, Larry Jennings, Martin Nash, Jerry Andrus, and others. Howard was friends with everybody who was anybody and he'll share his thoughts regarding the presentation of magic as he learned it from them. If you've never been to a magic lecture, theres never been a better time. Sunday January 5th at 7:00pm, were live-streaming Howard Hamburg LIVE in a spectacular 2-hour interactive online lecture. 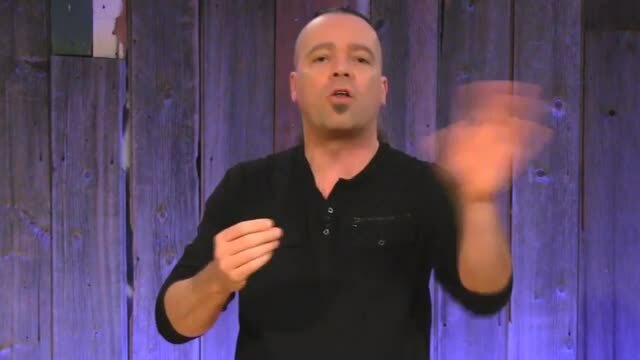 Watch, ask questions and learn things you won't find in any book or DVD. Purchase the Howard Hamburg LIVE product. This is your ticket. On Sunday January 5th, anytime before 7:00pm Eastern, click the MyPenguinMagic area at the top of the Penguin site. You'll see the livestream appear 1 hour before showtime. At 7pm sharp, Howard will hit the stage and begin his JAM-PACKED professional lecture. Ask Howard questions and discuss the tricks DURING the lecture. I've bought LOTS of the Penguin Lectures and enjoyed a great deal of them - but have never felt compelled to write anything about them at all... until now. This lecture is simply fantastic. It's interesting from start to finish - anecdotes interspersed with great handling tips, moves and effects. It's clear that Howard Hamburg has led an amazing life in the world of magic and counts some of the true greats amongst his friends. There's one moment there when he tells a story about his birthday that is truly touching. The material taught is great too - and there's nothing particularly difficult; he's kept it at a very straightforward technical level but has chosen some really interesting and inspiring subject matter to teach and discuss. This really is the VERY best Penguin Lecture I've seen and may even be the best lecture I've seen, ever. Thanks for sharing, Howard - this really was something special. Howard's card magic looks moveless. One of the finest card handlers and Penguin lectures so far! ...but details make perfection." This quote from Leonardo Da Vinci first came to my mind after watching Howard Hamburg's lecture. It is filled with tiny little details for known plots, great handlings to familiar effects, words of wisdom one should keep in his magic mind forever and charming memories of his magic life alongside the true masters of our art such as Dai Vernon, Charlie Miller, Larry Jennings, Jimmy Grippo, just to name a few. I would advise you to watch his lecture with pen and paper, because you should and will write down a lot to learn from him. I heard Howard's name before, but was unaware what a likeable guy he is and what a great value this lecture would be for me after more than 20 years in magic! 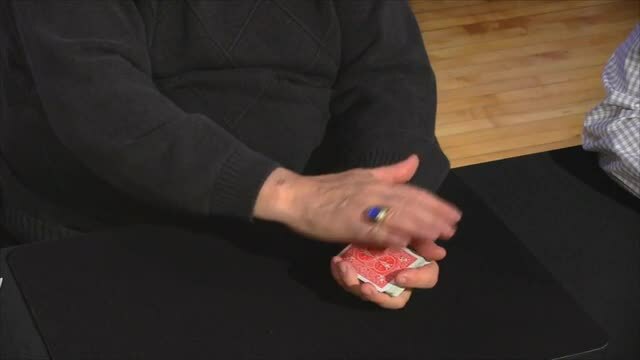 If you are looking for great tricks, this lecture is great! But if you are looking for the how's, why's and subtle details, this lecture is phenomenal! Thanks to Penguin for making it available!! I am amateur magician from Tokyo. I truly enjoyed this lecture video, and inspired me. I used to live in LA during my school year. After I watched lecture video, I soon contacted with Howard and will meet at Magic Castle early next year.This can be great experience for me. I am thankful for Penguin to give me such an precious opportunity. I met Howard at the Magic Castle a couple of months ago. He was sitting in Dai Vernon's corner at his "special place." When I was introduced to him he asked me to sit and of course I did. (to sit with Howard where Dai Vernon played with his cards was awesome!) He proceeded to blow my mind with some first rate card handlings. Some of what he did he showed and explained on this lecture, but not everything. The power of his handling was so perfect in person that the next day I purchased his "Howard Hamburg Sessions" dvd. It is totally awesome and has tricks on it that were not covered in the Penguin lecture. Everything about Howard during his Penguin Lecture, his mannerism and laid back demeanor was in person just as he came across at the Castle. I am one of those magicians that believes if you go away with at least "one" powerful new handling that a purchase was worth the cost. 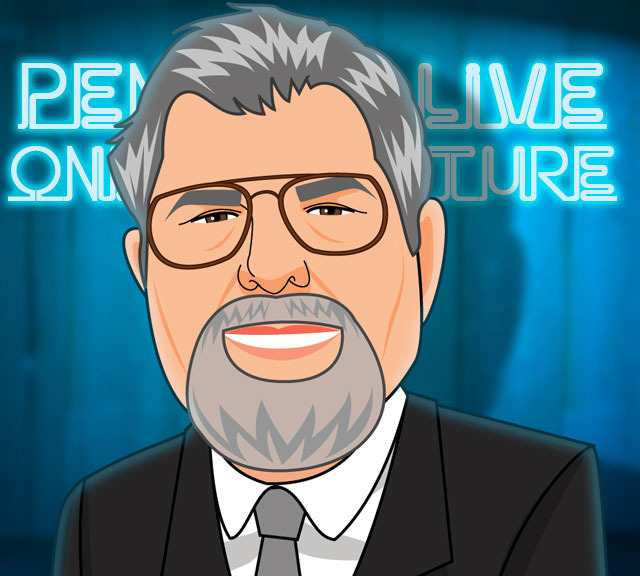 There are several effects worth the cost of the "Howard Hamburg Sessions" and this Penguin Live lecture is a true treasure worth adding to your collection. I'm going back to the Castle next month and I hope Howard is sitting there at "Dai's place!" this lecture will teach you some classic stuff (triumph, oil&water, gilberth principle, ...). Relatively 'easy' to master card magic, for everybody and so beautifull. 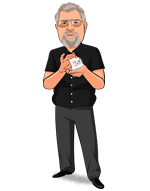 So if you are looking for a lecture which teaches you card magic at its best, which you can show afterwards to your friend, this is a very good lecture and you will hear some insider stories of the magic castle (lerry jennings, ....), too. So if you are into card magic, this is the lecture for you. One the best lectures I could watch. This is à must have! I haven't left a review in some time because of some bad lectures , so I just bought this lecture even though I was subscribed . Now, I am mad why the hell I delayed it for so long . First time in a lecture almost every effect is practical and amazing . But the best part was Hamburg's stories. Mostly when a magician starts telling his stories I normally skip it but this was the first time I wanted to hear his stories more than the effects. I am surprised that Howard is not that well known. Full of great card magic. Well taught, and lots of great stories without spending the whole time talking. He teaches quite a few tricks and they are all great!